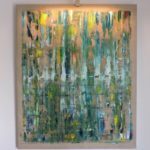 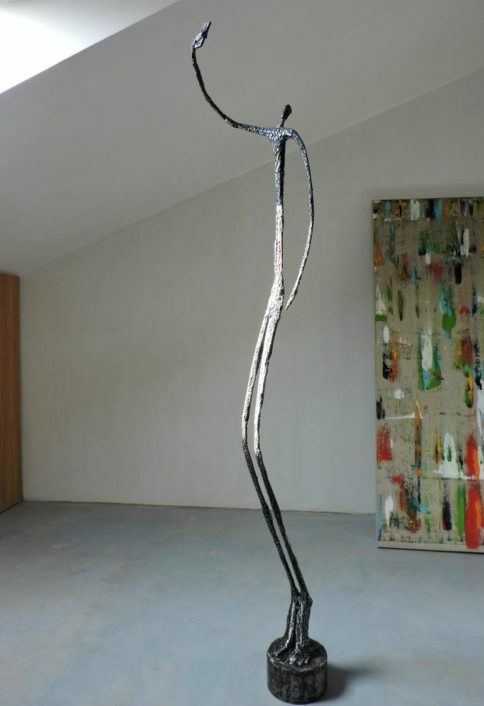 Sculpture: Metal, Steel, Paint and Wax on Iron, Steel and Other. This sculpture is part of the condensation cycle sculptures and dispersion of matter and of a subset tribute to the sculptor Alberto Giacometti. 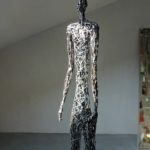 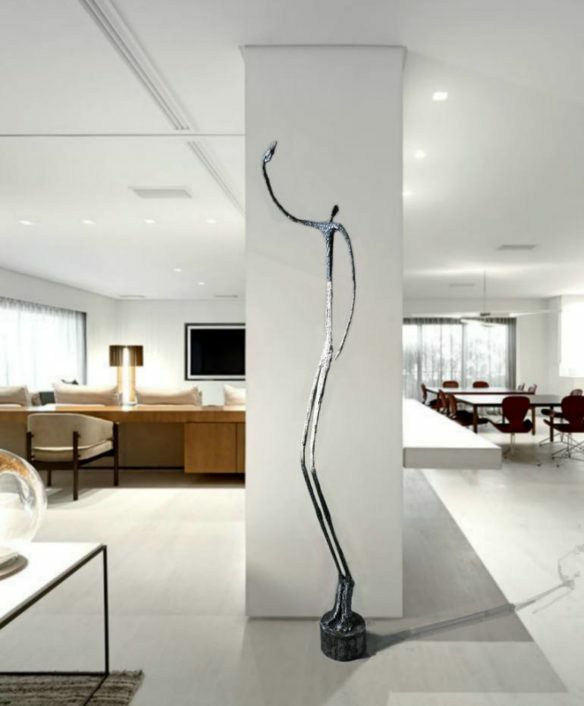 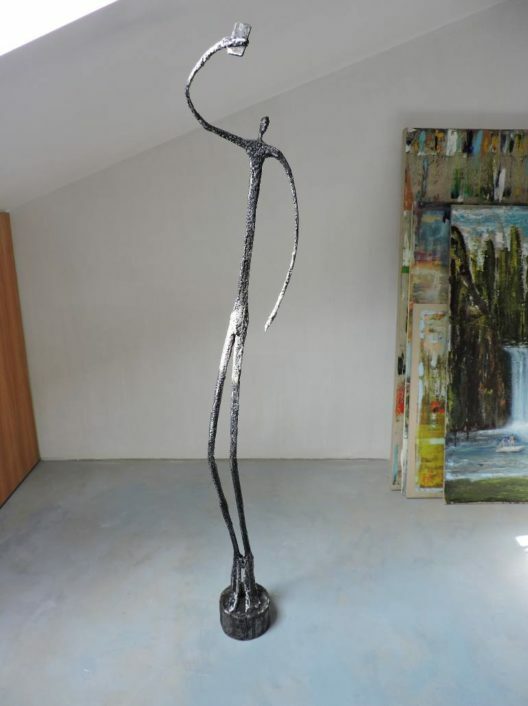 It is a modern and contemporary reinterpretation of figurative types of Giacometti performed no bronze lost wax but by assembling elements in welded steel.